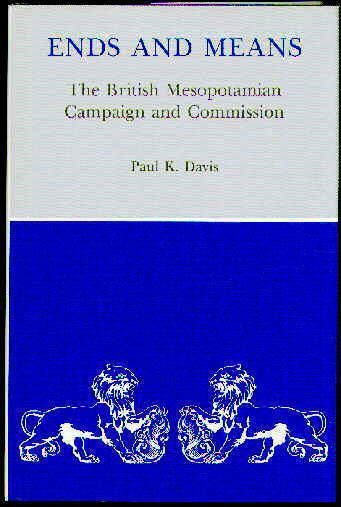 Davis, Paul K., ENDS AND MEANS: The British Mesopotamian Campaign and Commission. NEW copy. Hardcover with dust jacket. (Farleigh Dickinson University Press, 1994). Maps, extensive notes, bibliography, index, 279 pages. British General Staff, HANDBOOK OF THE TURKISH ARMY, 1916. NEW copy, 1996 Battery Press edition of original 1916 edition. 14 illustrations, 235 pages. 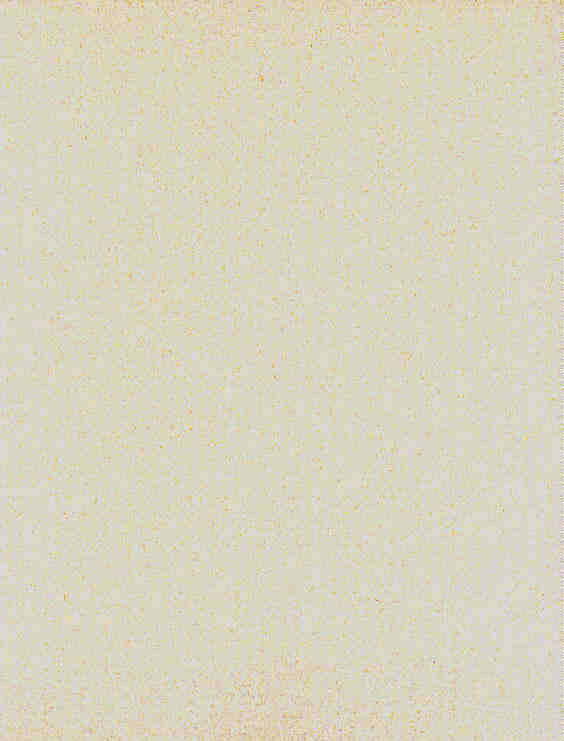 ~~~ This ultra-rare handbook, the 8th Provisional edition, was originally prepared in Cairo by T.E.Lawrence (later Lawrence of Arabia), and Philip Graves, Robert's brother. It presents a detailed study of the organisation, weapons, equipment and units of the Turkish Army. It includes a very detailed ORDER OF BATTLE for Feb.1916. Hynes, James Patrick, MA, LAWRENCE OF ARABIA'S SECRET AIR FORCE: Based on the Diary of Flight Sergeant George Hynes. . NEW copy, hardcover in dust jacket. (Pen & Sword, 2010). Twenty b&w plates. ~~~ X Flight was designated the task of giving close air support to the desert army formed and commanded by Lawrence of Arabia. It flew from advanced desert landing grounds on reconnaissance, liaison, bombing and ground attack missions. The existence and deeds of the flight were kept secret, so much so that even the RFC Paymaster was unaware of their existence. ~~~ George Hynes was an aircraft mechanic and became responsible for keeping the flight’s somewhat elderly aircraft airworthy whilst working in the most difficult desert conditions on hastily constructed landing strips and living and working under canvas in temperatures that froze at night and rose to 100 degrees plus at noon. ~~~ His diary gives a clear insight into the conditions endured, the actions that took place and the many almost insurmountable problems that occurred as they followed Lawrence’s steady advance against the numerically superior Turkish Army and Air Force. George personally encountered Lawrence on many occasions and maintained contact with him after the war. ~~~ The diary is supported with the Flights weekly operational records, perspectives of the battle scenarios and other background information. Orlans, Harold, T.E. 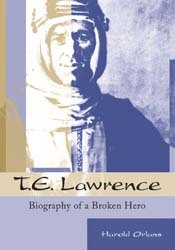 LAWRENCE: Biography of a Broken Hero. . NEW copy, trade paperback. (Jefferson, NC: McFarland, 2002). Photographs, maps, chronology, notes, bibliography, index, 293 pp. ~~~ Lawrence of Arabia, as adviser to Prince Feisal, led camel-riding Bedouin in a guerrilla war against Turkey from Arabia to Damascus. The great British hero of World War I, he helped Winston Churchill draw the map of the modern Middle East, creating Jordan and making Feisal king of Iraq. Then, in 1922, he shed the rank of colonel and his name to serve as a private in the Royal Air Force until shortly before his death in 1935 at age 46. Lawrence has been characterized as a man with extraordinary powers and as an imposter who manufactured his own legend. ~~~ This careful study, based on virtually all published and unpublished English-language sources, sides neither with Lawrence’s eulogists nor with his denigrators. Presenting a fair, balanced picture of his life, it shows the lifelong continuity of his puzzling conduct: the often needless deviousness. Smith, LtCol Neil C., AM. 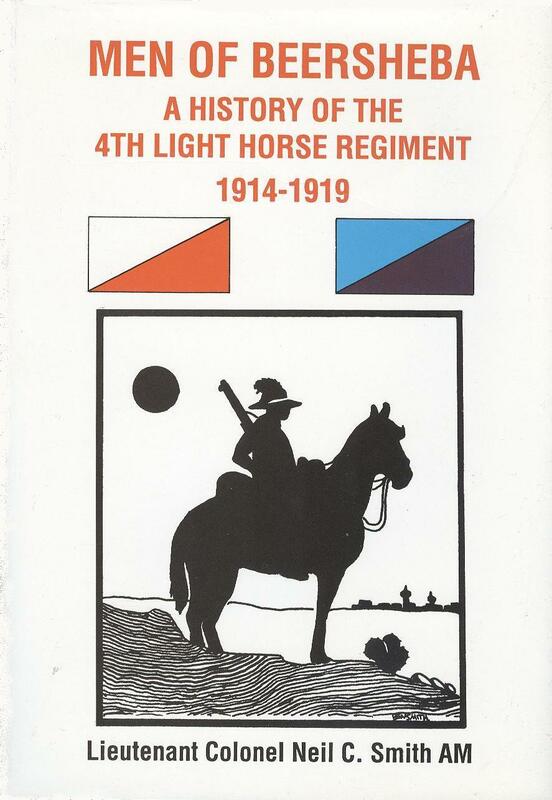 MEN OF BEERSHEBA: A History of the 4th Light Horse Regiment, 1914-1919. NF/NF, jacket in mylar protector. First Edition. Signed by Author. (Melbourne: Mostly Unsung Military History, 2993). Maps, photographs, full roster, bibliography, name index, 239 pages. Tennant, LtCol John E., IN THE CLOUDS ABOVE BAGHDAD: The Air War in Mesopotamia, 1916-1918. NEW copy, hardcover issued without dustjacket. (Battery Press, 1991). Reprint of the original 1920 edition. Photographs, maps, 289 pages. ~~~ "The author commanded all British RFC forces in Mesopotamia during 1916-18. He reorganized the aviation units and rapidly obtained air superiority over the Turkish forces. He chronicles his being shot down and captivity near the end of the war. A rare study of aerial operations in a far flung theater of war." MacMunn, George and Cyril Falls, MILITARY OPERATIONS, EGYPT AND PALESTINE, VOLUME I . NEW copy, hardcover issued without dustjacket. Battery Press, 1996; reprint edition. 6 photographs/drawings, 20 maps, 469 pages. "This begins with the outbreak of the war in August 1914, covers the preparations for the defence of the Suez Canal, the repulse of the Turkish invasion, operations in the Western Desert against the the Senussi Tribes, operations in the Sudan, the initial advance into the Sinai desert, the Battles of Romani, Rafah and 1st and 2nd Gaza., and the outbreak of the Arab Revolt. It ends with the recall of the commanding General , Sir Archibald Murray ,in June of 1917." 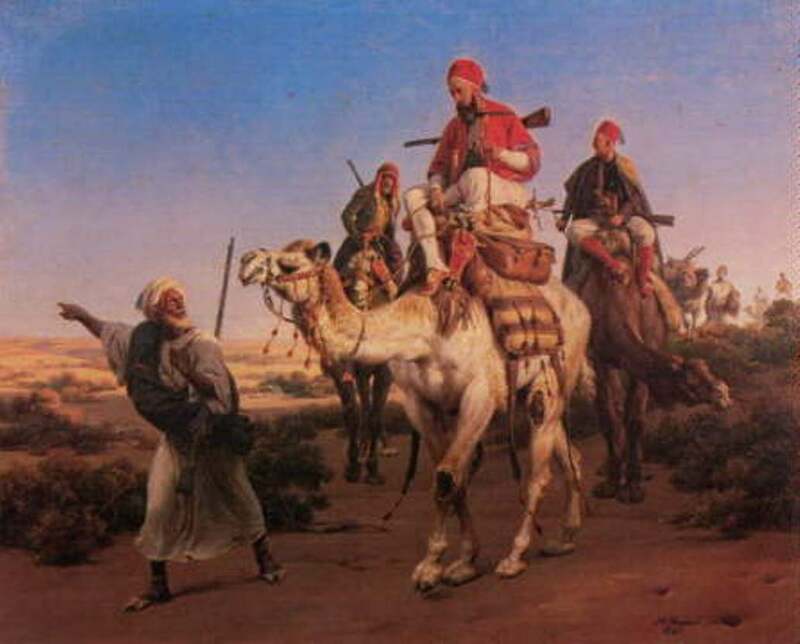 Falls, Captain Cyril, MILITARY OPERATIONS, EGYPT AND PALESTINE, VOLUME II, Part I. NEW copy, hardcover issued without dustjacket. Battery Press, 1996; reprint edition. 5 photographs/drawings, 30 maps, 496 pages. "Originally published as part of the British official history set for ground operations in World War I, this volume begins in June 1917 when General Allenby assumed command of the Egyptian Expeditionary force. It chronicles the capture of Beersheba by the Australians, the attack on the Gaza defences, the capture of Sheria, the break up of the Turkish front in Nov.1917, the advance into the Judean Hills, the capture of Jerusalem, battle of Jaffa, capture of Jericho and the lst & 2nd Trans-Jordan raids." Falls, Captain Cyril, MILITARY OPERATIONS, EGYPT AND PALESTINE, VOLUME II, Part II . NEW copy, hardcover issued without dustjacket. Battery Press, 1996; reprint edition. 5 photographs/drawings, 17 maps, 408 pages. ~~~ This begins with the outbreak of the war in August 1914, covers the preparations for the defence of the Suez Canal, the repulse of the Turkish invasion, operations in the Western Desert against the the Senussi Tribes, operations in the Sudan, the initial advance into the Sinai desert, the Battles of Romani, Rafah and 1st and 2nd Gaza., and the outbreak of the Arab Revolt. It ends with the recall of the commanding General , Sir Archibald Murray, in June of 1917. Falls, Captain Cyril, MILITARY OPERATIONS, EGYPT AND PALESTINE. Complete three-volume set. The three volumes listed above, as a complete set. (Vol I; Vol II Part 1; Vol II Part 2). Moberly, Brigadier F.J., THE CAMPAIGN IN MESOPOTAMIA, VOLUME I. . NEW copy, hardcover issued without dustjacket. Battery Press, 1997; reprint edition. 3 photographs/drawings, 39 maps, 412 pages. "A reprint of the first of four volumes of this British Official history of the Great War, which chronicles in great detail the combined British / Indian campaign to wrest Mesopotamia ( modern Iraq), from the Turkish Empire. Volume 1 covers the Turkish province pre war, its defences and the organization of the pre-war Indian Army, the decision to invade, and the despatch of the Force 'D' to capture Basra. It then covers the advance up the two rivers, the Turkish counter-attack and its defeat, the subsequent British advance on and capture of Kut-al-Amara in October 1915. 1997 r/p of 1923 ed"
Moberly, Brigadier F.J., THE CAMPAIGN IN MESOPOTAMIA, VOLUME II. NEW copy, hardcover issued without dustjacket. Battery Press, 1998; reprint edition. 9 photographs/drawings, 14 maps, 594 pages. "This volume begins with the British advance on Baghdad, the battle of Ctesiphon, the retirement to Kut-al Amara, the subsequent long siege and relief attempts, until the fall of Kut in April 1916. 1998 ltd. r/p of 1924 edition." Moberly, Brigadier F.J., THE CAMPAIGN IN MESOPOTAMIA, VOLUME III. NEW copy, hardcover issued without dustjacket. Battery Press; reprint edition. 10 photographs/drawings, 15 maps, 472 pages. "Originally published as part of the British official history set for ground operations in World War I, this volume covers from May 1916 to April 1917, the reorganization of the British forces after the fall of Kut, the renewed offensive in early 1917, the recapture of Kut-al-Amara, and the eventual capture of Baghdad, and subsequent operations north & west of that city until April 1917." Moberly, Brigadier F.J., THE CAMPAIGN IN MESOPOTAMIA, VOLUME IV. . NEW copy, hardcover issued without dustjacket. Battery Press, 1998; reprint edition. 17 photographs/drawings, 13 maps, 463 pages. 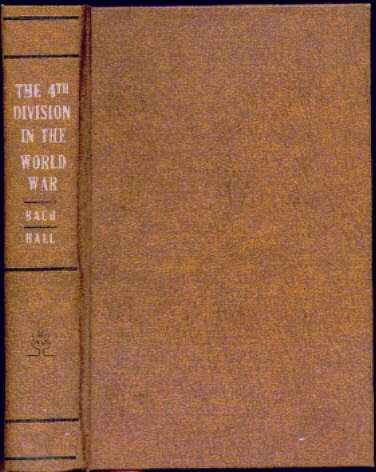 "Originally published as part of the British official history set for ground operations in World War I this volume begins with operations in May 1917 and covers all campaigns to the final defeat of the Turkish Army in Mesopotamia to October 1918, which includes British & Indian Operations in Persia, Kurdistan and the Caspian Sea in operations against the Bolsheviks under Gen. Dunsterville. 1998 r/p of 1927 edition." Moberly, Brigadier F.J., THE CAMPAIGN IN MESOPOTAMIA. Complete four-volume set. . The four volumes listed above, as a complete set.